As many people are aware, the Cycling Time Trial race which forms part of the Glasgow 2018 European Championships takes place this coming Wednesday. As the route goes directly through Springburn, there are many road closures, and a large restricted area on either side of the route. These restrictions will be in place all day, and the reopening of roads in the area will not start until 6pm. We have several concerns about trying to make the journey on Wednesday as the road closures will force more traffic onto the M8, which is always very busy at that time anyway. 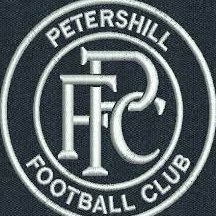 Contrary to posts on social media, the main problem is not collecting the kit from Petershill Park, but rather that the only people who are available to take the kit to Kilbirnie on Wednesday all live in the restricted area, and as such won't actually know how bad the effect of the travel restrictions are until on the day. Rather than wait until then, and the possibility that we can't get the kit there on time, our management committee felt it was better to ask for a postponement. We contacted the fixtures secretary yesterday, and after informing him of the circumstances surrounding the match, he agreed to our request to postpone it. We then informed our players, members and fans at yesterday's match, and cancelled our booking for our supporter's bus. We were then very surprised and disappointed today to be informed that the match is now to go ahead on Wednesday after all. Although disappointed, we respect the decision of the management committee and will do our best to fulfil the fixture. We do note however that Maryhill v Shettleston has apparently been postponed on Wednesday, despite Lochburn Park not being in a restricted zone and the part of Maryhill Road that is closed being quite far to the west of Lochburn Road. We also note that Kilsyth have voiced concerns about being able to get to their away match at Rossvale, as they will also be severely hindered by the road being closed through Kirkintilloch. It might tun out to be the case that we are overestimating the problems that the road closures might cause, but we do feel that it would be foolish to ignore the potential impact completely. Can the kits not be collected tomorrow or is that just crazy talk ? 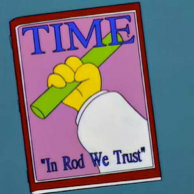 They will be, but the guys collecting them all stay locally in restricted areas. Read the whole post. It’d be great if Ladeside offered to open up their changing rooms on tuesday night to allow you to drop the stuff off then, meaning your guys wouldn’t be in too much of a rush pre game. Glad to see the match is on. Obviously there has been no reason to postpone. Can Kilsyth not go via the M80 ? "will do our best to fulfil the fixture"
Life is indeed tough, is it the lack of notice your struggling with, or can we file this firmly in 1st world problems? Your actually describing being unable to get equipment and people out of a city with plenty notice and CLEAR description of the affected areas. This reminds me of not wanting to go to work and phoning in with an absolute shite excuse, good luck on Wednesday assuming you can "fulfil the fuxture"
Do Petershill have players away on holiday at the minute? Just out of interest? Totally this... Pick kits up the day before or two days before and drop kits off somewhere or with someone who’s not trapped in their scheme. When did Wilson get released? He’s still on your website. Just scared to play then? I know that ladeside will probably win but putting the game off doesn’t help, you will have to play them sometime. I do think yous have players missing tho! I think the reasons for us and other clubs requesting a postponement has been talked to death and not something our Ayrshire cousins will understand, rest assured its nothing to do with "being scared"
Quietly confident for Wednesday, have played well in the League cup, will be here on Wednesday night win, lose or draw so will discuss your prediction then! Your obsession with our squad, support and club is a bit concerning now! Not even brave enough to hang your hat on a team yourself i see! So its not because you’ve got players on holiday and the cycling is a convenient reason? Or are you telling porkies? Now about this team of yours?? ?